A four-masted vessel with three "ghost" figures on deck sails past a folky lighthouse. Everything is in original paint| with a nautical palette. 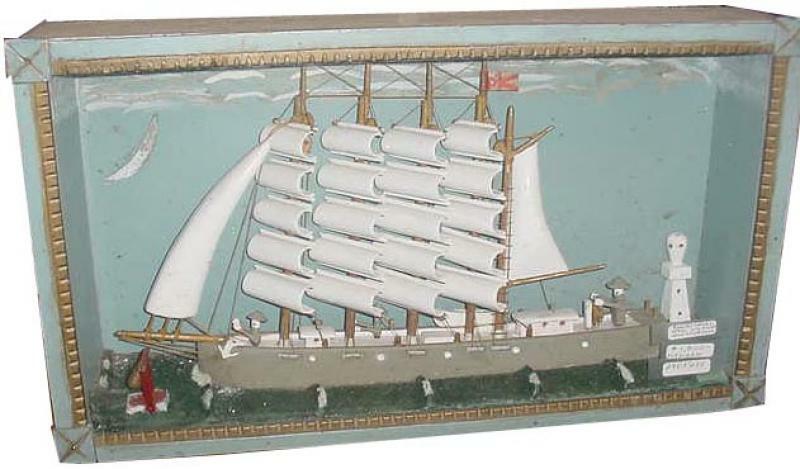 The figures and ship details are charmingly naive. A terrific touch is the sails that are made of wood that is curved to seem wind-filled.